Christmas in Cornwall is simply magical. While we can’t promise you’ll have a white Christmas, it’ll certainly be one to remember. There’s so much to see and do for the whole family during Christmas period in Cornwall, from atmospheric theatre productions in the woods to ice skating and beautiful illuminations. 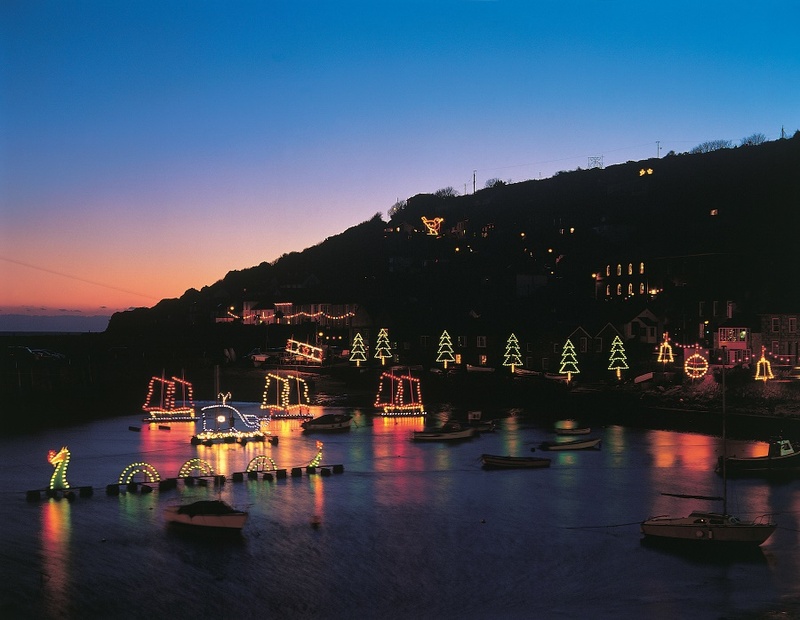 Here are our top 10 suggestions for the best family activities in Cornwall at Christmas. Cornwall’s Christmas lights are quite simply, spectacular. The pretty fishing village of Mousehole is best known for its Christmas lights and draws thousands of visitors each year. The tiny winding streets are illuminated with a blaze of colour, while down at the harbour, the water reflects the lights beautifully. The displays are inspired by Cornwall’s maritime heritage, with sea serpents, fishing boats and whales to name just a few. And Mousehole isn’t the only place to get into the Christmas spirit – Cadgwith and Angarrack also have impressive displays each year. Kick start the festivities with Miracle Theatre’s unique version of Aladdin at Princess Pavilion in Falmouth, ideal for all the family. Performances from 7th December 2018 to 5th January 2019. Book early to avoid disappointment! 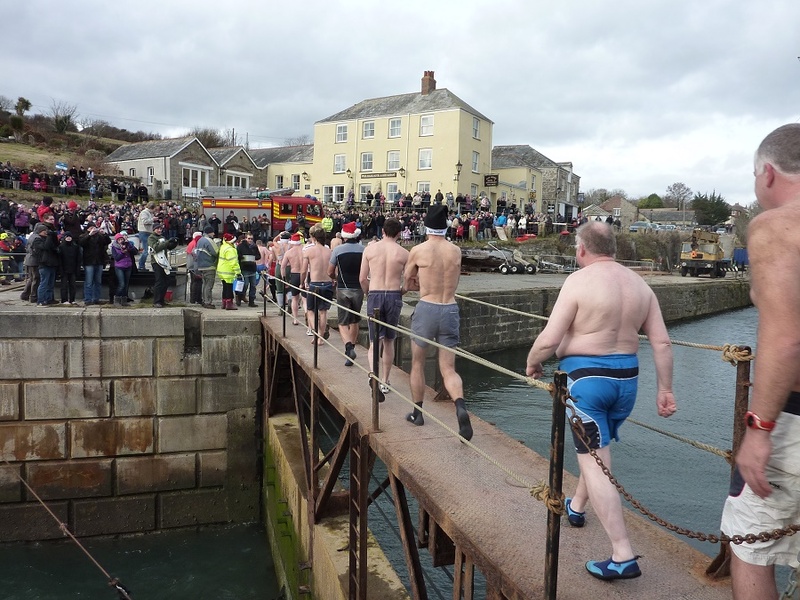 A dip in the sea on Boxing Day has become something of a tradition in nearby Charlestown with the annual Boxing Day Charity Swim, organised by Charlestown Rowing Club. Whether you fancy taking part or prefer to enjoy the fun from the beach, it’s sure to be a memorable experience. If you’d like to join in, contact Charlestown Rowing Club to find out more. All aboard! It might not be the Polar Express, but Bodmin and Wenford Railway’s popular Santa by Steam trips are full of festive cheer. The experience includes a special a one hour return journey on a steam hauled train, a mince pie and seasonal drink for adults, with presents for the children. Liskeard Band will also be singing carols on the platform. Santa by Steam runs on selected dates from 1 December – 24 December 2018. This atmospheric festival is a revival of traditional Cornish midwinter celebrations from West Cornwall. There are a variety of activities including lantern, mask and costume making. The Montol Festival culminates with a torch-lit procession through the streets of Penzance on the evening of 21st December including guise dancing, a variety of entertainment and a lantern parade. The final part of the celebration is the lighting of the beacon at Lescudjack Hill Fort, one of the most ancient sites in Penzance. 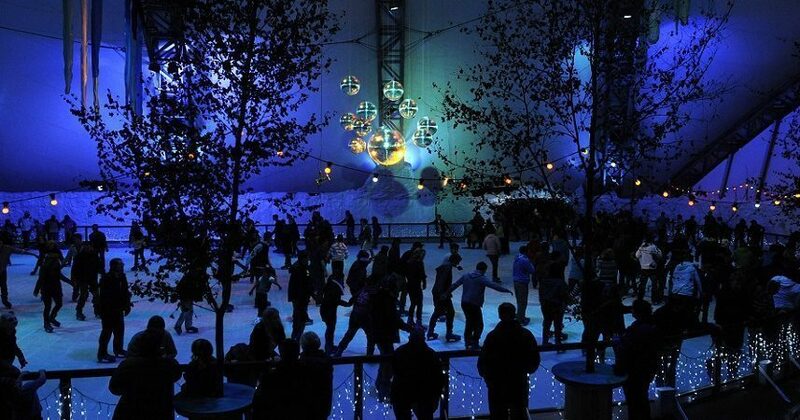 The ice rink at the Eden Project is a winter wonderland. It’s breathtakingly beautiful, and possibly the closest you’ll get to stepping in to Narnia… Constructed each year as part of the Winter Festival, it’s open from mid-October until mid February. They have sessions running throughout the day on most dates over Christmas, and even run special parent and toddler sessions. 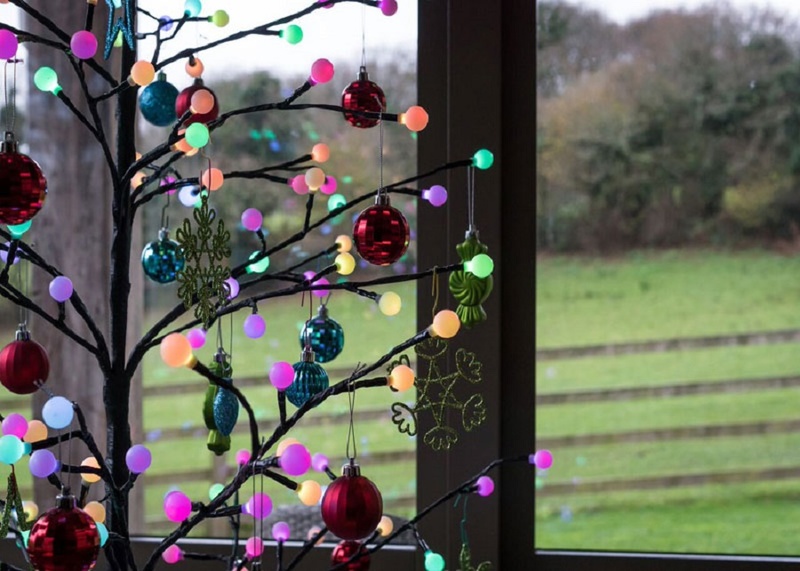 Head over to Cotehele (National Trust) and see the house dressed for Christmas. Each year, Cotehele’s gardeners create a 100ft garland to adorn the Tudor hall using thousands of flowers grown on the estate. It’s a tradition that’s been running for 60 years (the first garland was created in 1956). Local choirs perform under the garland throughout the Christmas period, and for children, there’s the chance to meet Father and Mother Christmas in their grotto. Set in the atmospheric surroundings of Tehidy Woods, Rogue Theatre’s shows are always very special. Their shows are spellbinding – a magical, immersive experience which starts from the moment you arrive. You’ll be guided through the woods into another world, encountering Old Man Winter and many other characters along the way. 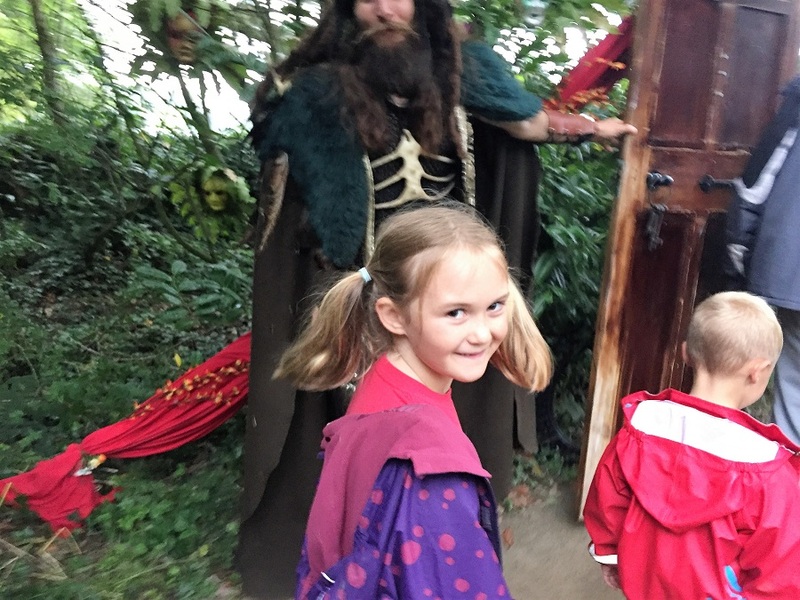 This year’s Winter Wood runs from 8th through to 30th December (excepting Christmas Day) and there are three shows per day at 1pm, 4pm and 6.30pm – see Rogue Theatre’s website for details. As darkness falls, the house and garden at Trelissick are transformed with a soft glow. Wrap up and wander round the winding paths and enjoy the magic of the illuminated garden. The house is decorated for Christmas, and there’s mulled wine and hot drinks on offer in the tea room so you can warm up afterwards. Selected dates throughout December. Each year, we decorate all our cottages ready for Christmas, so you can focus on making the most of your time together. Twinkling fairy lights entice you inside, where you’ll find a beautifully adorned tree waiting for you to put your presents under it. If you’re tempted by the thought of Christmas in Cornwall, we still have a few cottages available. But you’ll have to be quick! Extra-special Christmas offer: stay 10 nights for the price of 7 i.e. stay from Wednesday 19th to Saturday 29th December 2018 and really make a break of it!